Nox Archaist: What is the status of Nox Archaist and what will the game be like? What is the status of Nox Archaist and what will the game be like? Developing Nox Archaist over the last year has been an exciting experience. In this time the project team doubled from two people to four. 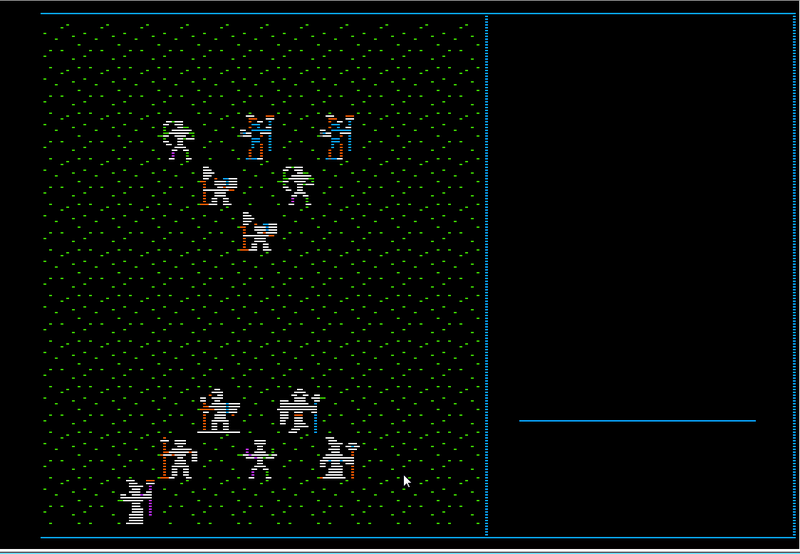 Much of the game engine was completed, including fundamentals like map movement, towns, NPC conversation, and day/night transitions. Dynamic features new to Apple II RPGs were developed such as swimming, horse jumping, tall grass where mobs can hide, and many more which we’ve saved to surprise you in-game. Thank you very much to all the retro computing fans who have taken the time to post a comment. We really enjoy hearing from you! Programming for the Nox Archaist combat system is about half way done with the remainder mainly relating to enabling additional features. We have a proof of concept where up to 6 player characters can wage battles with multiple mobs using their wits, weapons, and spells. If that's not enough, you'll be able to summon allies to join the fray. Dungeons are operational and we are currently working on completing that tileset. Artists Bill Giggie and Robert Padovan are using their years of experience as professional graphics animators in the movie industry to tackle this challenge and many others. Soon Nox Archaist will have a fully functional game engine and we expect to be ready to showcase additional features by this spring. At that point the team will shift focus to designing the Nox Archaist game world and story line. Our development approach has been to build the game engine first, then tell the best story possible using the feature set we created. This method has been passionately espoused by Lord British himself on several occasions including the Book of Ultima and various interviews. With the game engine approximately 75% complete, we have a pretty good idea of the general feel and functionality that will make up the core of Nox Archaist. While these details are subject to change, we thought you might enjoy a glimpse. Nox Archaist will be a fairly dark game. The powers of good will certainly be present but some of the most notorious bad asses in the fantasy genre will be integral to the story line. Heavy hitters such as demon lords, death knights, as well as our own blood chilling supernatural creations will be found within. The Nox Archaist game engine has the capability to make their appearance more dramatic than mobs were in 1980s Apple II tile-based RPGs and we plan to push the limits of the platform as far as possible. One of the most important design elements we are focusing on is the balance between combat and non-combat activities. Personally, I love both tactical combat and a rich story with interesting quests and puzzles. As a result, Nox Archaist will offer a complex story line set in a non-linear world and will feature a comprehensive combat system. In fact, the player will face challenging combat scenarios that will require a combination of battle tactics and clues found within the game to overcome. Quests, puzzles, and combat found in one area of the Nox Archaist world may contain clues relevant or necessary to challenges the player will encounter elsewhere in the game. placement spell casters and archers behind fighters. select a specific mob target for each player attack. collaboration between thief/assassin and fighter types for increased critical hit chances. Combat will offer many opportunities for varied tactics character development. A skill based system will allow the player to guide their character toward a specialty (melee weapons, ranged weapons, spell casting, etc) or blend abilities as they see fit. Damage and hit/miss will be determined by a number of factors including skill, base stats (strength, dexterity, etc), the physical size of the target, and various innate abilities. Characters will be able to choose separate armor to protect their head, torso, feet, and hands. Lucky adventurers may find gear with magical properties, however be aware that not all enemies will be affected the same way. While our skill based system provides flexibility to blend traditional character classes, those who enjoy classics such as thieves, assassins or mages will find robust role playing opportunities through skills such as critical hit and through the comprehensive spell effects in the game. Expect to see fireballs explode and lightning bolts fly as spell casters do battle. These mechanics will be implemented in a way so that combat is not one-size fits all, and players will need to use different strategies and tactics to survive and thrive in the Nox Archaist world. We are shooting for a release date in 2017. 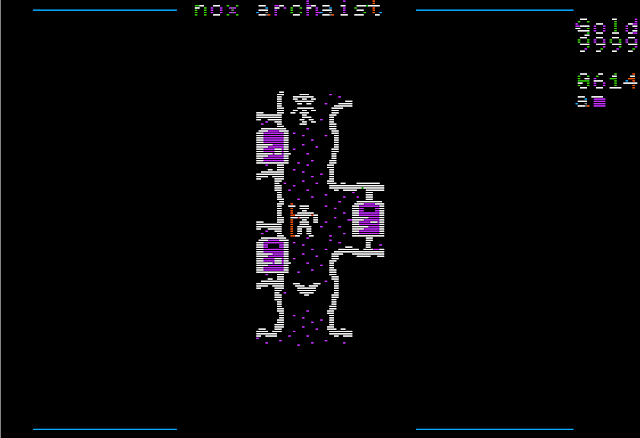 Our team is focused on creating an awesome new Apple II game and I am extremely confident that Nox Archaist will be completed. Thanks for your interest! We really appreciate you letting us know. We are in the process of assembling a prototype game box, canvas map and sample pages of a printed manual, all of which include professional fantasy art custom made for Nox Archaist. 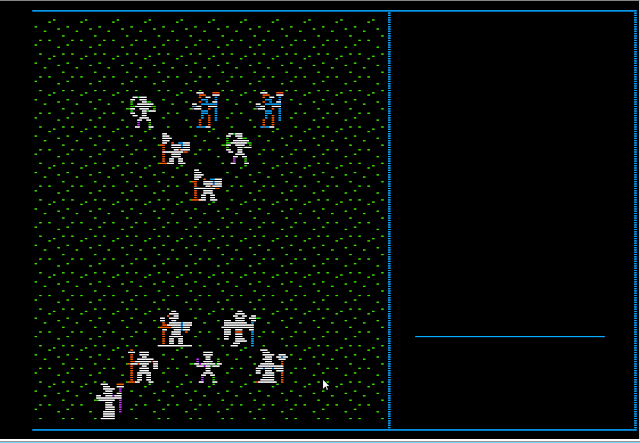 If you’d like to hear future updates, we’ll be posting periodic info to Twitter (@6502Workshop) and to the game blog. There is also an email list subscribe button on the right hand side of our webpage.